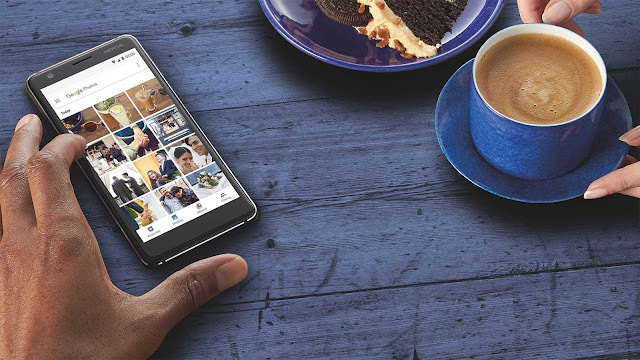 After updating their Nokia 7, Nokia 5 and Nokia 6 to the latest security patches, Nokia Mobile rolled out the Android 8.1 Oreo update for their Nokia 3.1 and September Security patch for the flagship Nokia 8 Sirocco, Nokia 8, Nokia 6.1, Nokia 6.1 plus and the Nokia 3. Regular security updates keep customers happy and Nokia Mobile has maintained a very good track record of keeping their devices up to date with the latest security patches and major OS updates. 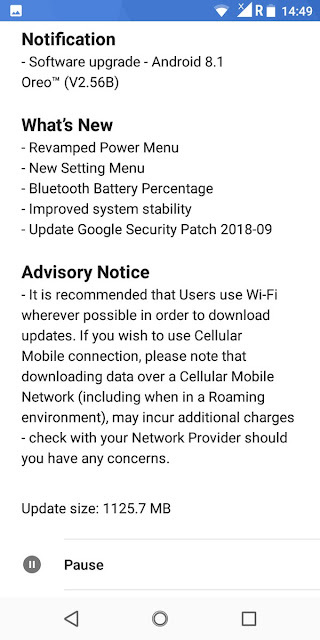 Below are the screenshots of the updates that arrived on Nokia 3.1, Nokia 8 Sirocco, Nokia 8, Nokia 6.1, Nokia 6.1 plus and the Nokia 3. 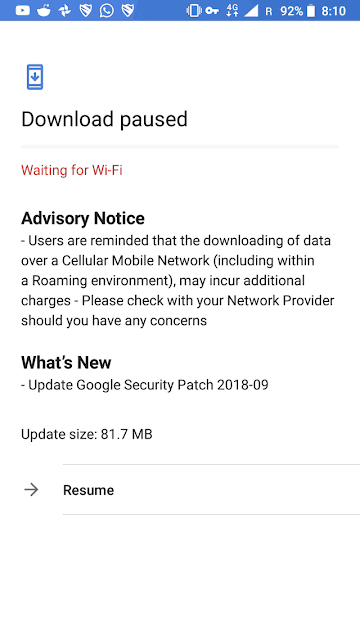 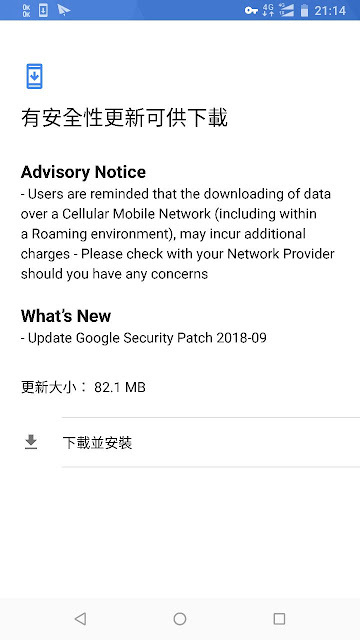 Nokia 3.1 got the Android 8.1 update along with the September Security patch and the update is 1125.7MB in size. 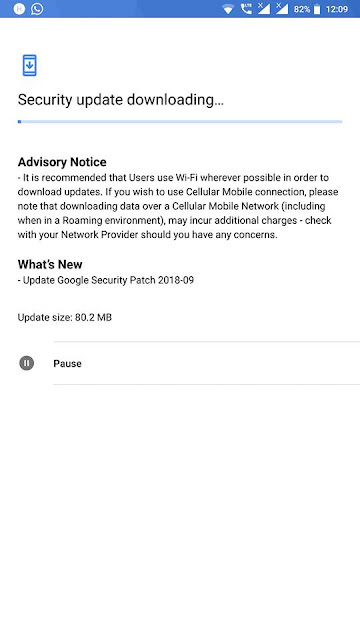 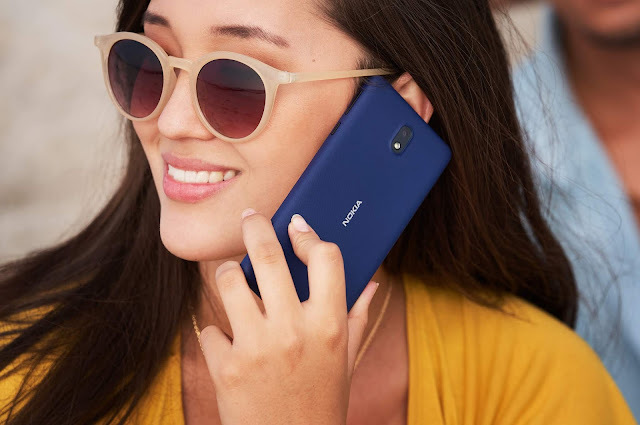 The updates for Nokia 8 Sirocco, Nokia 8 and Nokia 6.1, Nokia 6.1 plus and Nokia 3 are around 70-80MB in size and just bring the Google's latest September security patch. 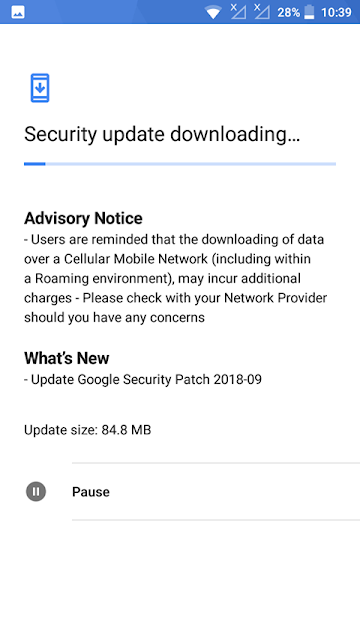 You can find more about Google's September Security update at Android Security Bulletin.